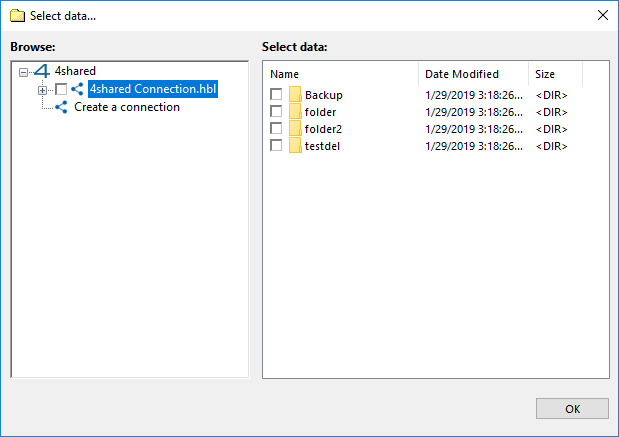 The 4shared instrument provides Handy Backup an access to accounts on a 4shared.com service, a popular file-sharing cloud tool. Create a new backup task. On a Step 2, select the “4shared” feature on the left panel in the “Other” group. You will see a new window. 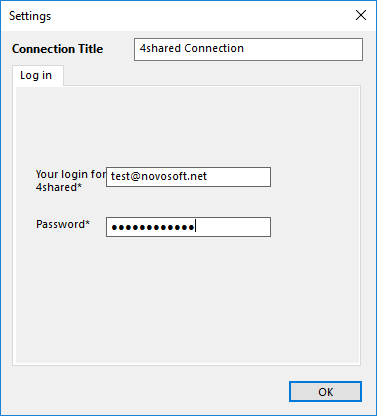 Choose a “Create a connection…” string to open a dialog providing an access for a 4shared. Note: At this point, by clicking on the appropriate button in this dialog you can create a new 4shared account. Enter your 4shared.com account data into the provided fields, then press “OK”. Click twice on a new string in the 4shared tool window, containing your account name. Select data you need to save from 4shared by marking these data with checkboxes. Press “OK” to return to the data selection and proceed to make a new task as usual. You can imply the steps described above for making a 4shared.com account your data destination, specifying all the information described before on a Step 3 instead of a Step 2. 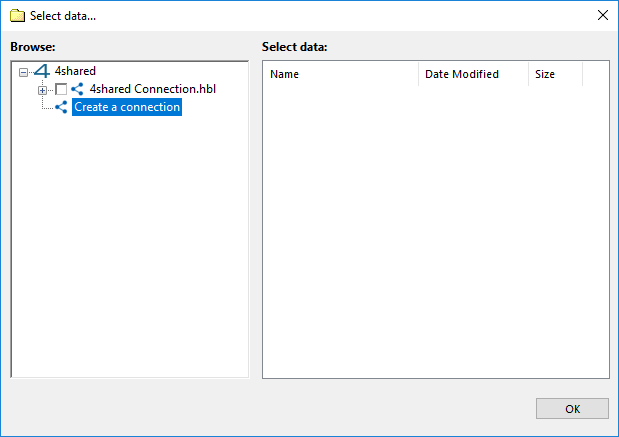 Connecting to an account is quite a same procedure than for choosing 4shared account as a data source.